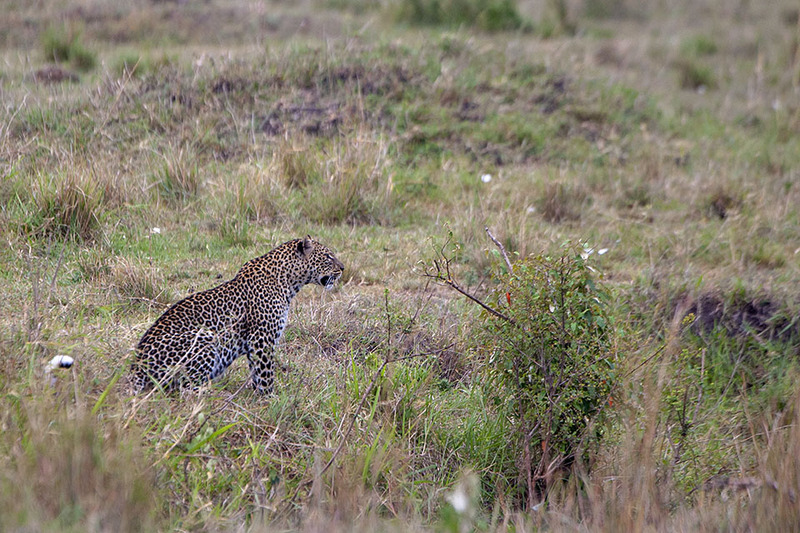 We started this morning game drive in Maasai Mara with the intention of spotting a Leopard. 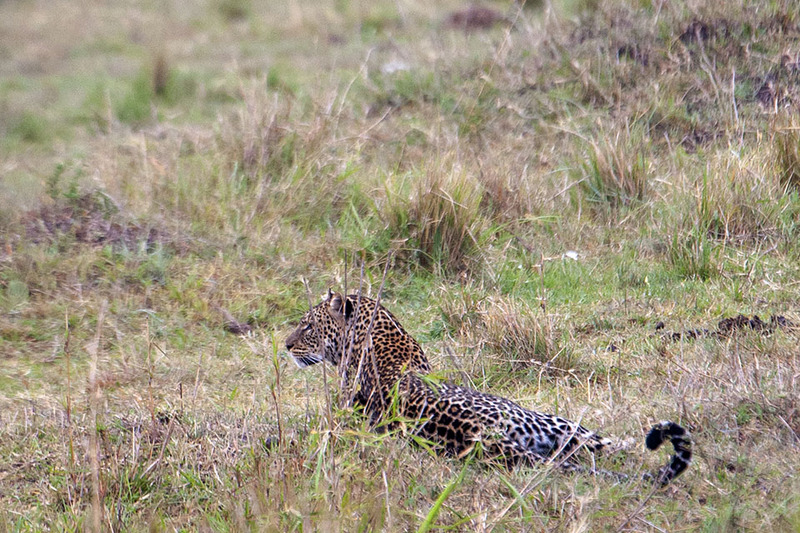 And Emmanuel our driver brought us to the area where he had spotted a Leopard a few times. We were very excited and searched the area for over on hour. 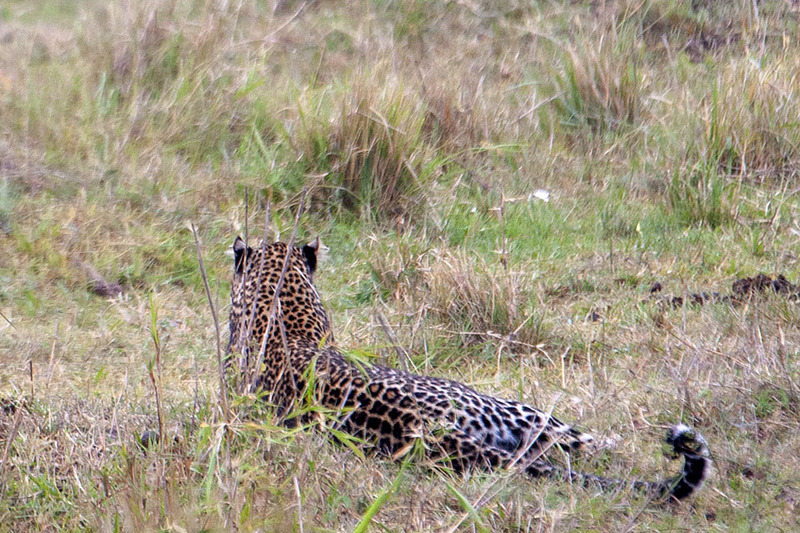 As we were about to give up hope, out of the blue, a Leopard emerged and we caught a glimpse of it. But it quickly slipped down the ravine. After a few minutes, it emerged on the other side as seen in the picture above. Once it realised that we meant no harm, it settled down as seen in the picture below. After a few minutes, something caught the Leopard’s attention and we soon followed its gaze to see a Spotted Hyena walking intently towards it. Emmanuel was quick to point out that the Leopard had a kill hidden in the ravine and the Hyena might have caught its scent and had come looking for an easy meal. 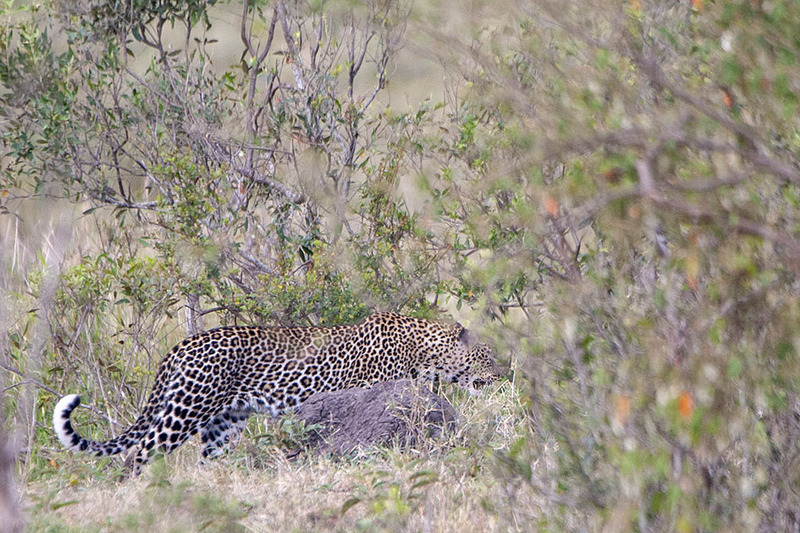 Seeing the Hyena’s intention, the Leopard quickly disappeared into the gorge. 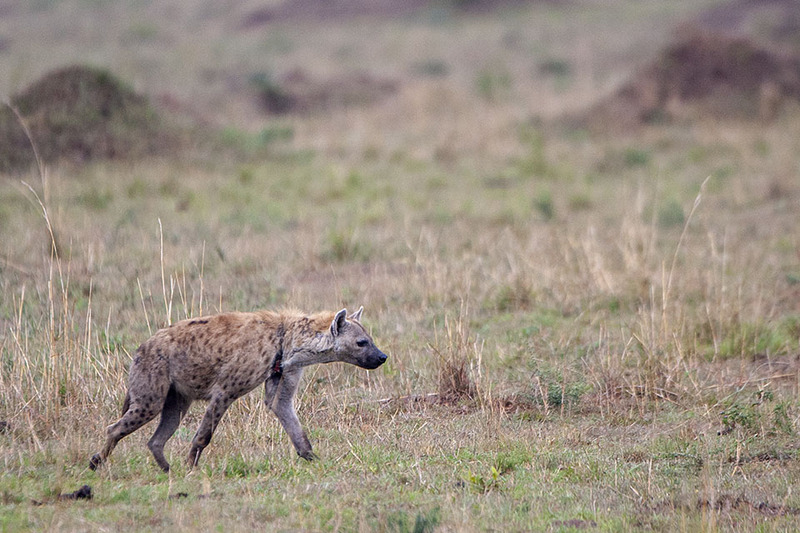 The Hyena searched the place thoroughly but could not spot the Leopard and soon lost interest and walked away. 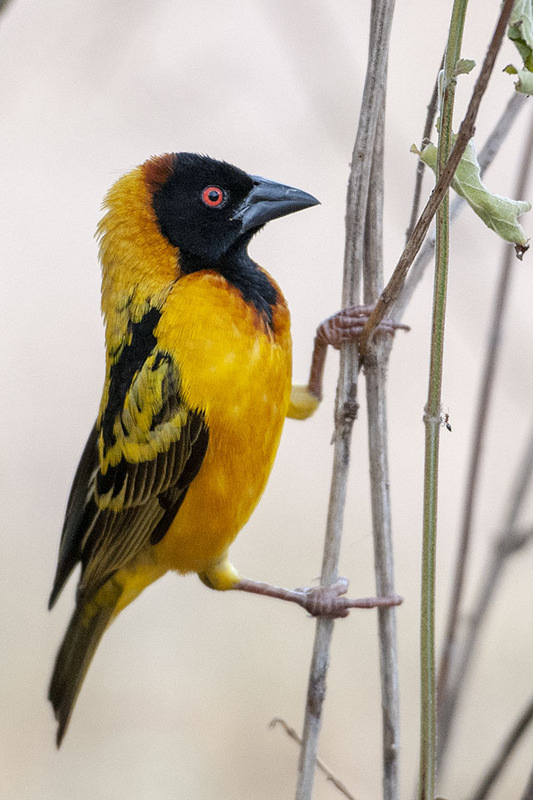 We knew the show was over and we headed back for breakfast where this beautiful Speke’s Weaver came by close enough for a nice picture.